PERFECT FOR GIFT GIVING: Whether buying for yourself or others, our notebooks make the perfect gift. Notebooks are great for daily journaling, sketching and doodling, or taking notes on the go. QUALITY MATERIALS: All notebooks include 120 pages (60 sheets) of durable, 60 lb. text-smooth paper of your choice. Front and back covers are laminated for durability with a 3 mil gloss lamination. All books are bound with ½ inch metal wire-o spiral. FAST SHIPPING: We love what we do and we want you to love it too. We strive to achieve a fast turnaround, with a quality product. Most orders ship the next business day. View More In Wirebound Notebooks. 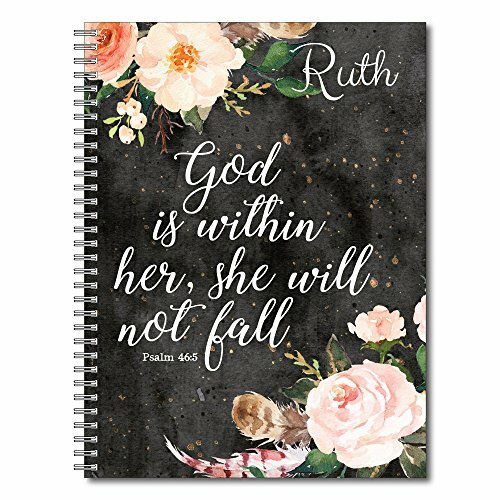 If you have any questions about this product by Gotcha Covered Notebooks, contact us by completing and submitting the form below. If you are looking for a specif part number, please include it with your message.